Central banks are subject to a financial audit either by local auditors or by international auditors or by both. The local auditors are usually those from the state audit office, the Auditor General in Sri Lanka’s case, who conduct the audit as mandated by the laws establishing central banks. For instance, Section 42 of the Monetary Law Act or MLA under which the Central Bank of Sri Lanka has been set up requires the Auditor General to audit the “accounts of the Central Bank” and submit a report to the Minister of Finance who in turn should lay that report before Parliament. Since this requirement is straight forward without ambiguity, John Exter who prepared the blueprint of the Central Bank has not thought it necessary to clarify this provision by a commentary in the report he submitted to the Government of Ceylon in 1949. The more recent central banking acts such as the Nepal Rastra Bank Act which was enacted in 2002 too requires the Auditor General of Nepal to conduct a financial audit of the bank as per Section 92 of the Act. However, since Section 90 requires the NRB to maintain its accounts in terms of International Accounting Standards, it implies that the financial audit to be conducted by the Auditor General should be in accordance with the international auditing standards. Sri Lanka’s Central Bank too has informally adopted that its accounts should be maintained in accordance with international accounting standards and therefore its financial accounts are also audited in accordance with the international auditing standards. The main weakness of this type of auditing of a central bank is that the auditors are concerned with whether or not a central bank has followed the correct financial procedures. While this is useful for a nation to assess the financial compliance of its central bank, it does not reveal whether a central bank has fulfilled its mandate to a nation properly. That mandate in many cases constitutes two goals which a central bank has to achieve through its action; the maintenance of the price stability and the maintenance of the financial system stability of a country. In the case of Sri Lanka, the price stability goal of the Central Bank has further been qualified in MLA to include “economic and price stability” meaning that the bank should not seek to stabilise a mere price index only but the overall stability of the macroeconomy of the country. In other words, the Central Bank of Sri Lanka cannot become complacent and relax monetary policy as it has done last week simply because the consumer price index has shown a minor decline when there is instability in the external sector, government budget and goods market with a higher demand for the output than its supply. The true meaning of the economic and price stability was discussed in detail in a previous article in this series titled “Central Bank’s Mandate is to attain both Economic and Price Stability” and published on 10 October 2011 (available here). Recently, there have been disputes about the Central Bank of Sri Lanka accomplishing its mandate to the nation. About the monetary policy, while the Central Bank is on a course to relax the monetary policy with the hope of providing a stimulus to the now low-performing economy, independent reviewers including this writer and international bodies like IMF have expressed the opinion that the Central Bank should not do so given the still threatening overall instability in the macroeconomy of the country. It is just like when a patient has body pain all over; his physician terminates the medication as the pain in one of the legs has just temporarily subsided. Similarly, the Central Bank’s policy actions relating to the financial system stability too have been subject to review of the country’s courts of law recently when some of the ailing finance companies have failed to pay interest or repay the principal to depositors. According to newspaper reports, the opposing views have charged of the bank’s failure to take correct action in time to prevent such an occurrence. The reason for these types of criticisms being leveled against a central bank is the absence of a mechanism to audit the key functions of a central bank both as an ongoing current process and as a post-audit. It is, therefore, necessary to review and monitor the working of the key policy functions of a central bank continuously in order to diagnose the impending risks and take appropriate prescriptive measures. This function requires a special type of auditing of the key policy functions of a central bank. As it has been presented in the previous articles in the central banking series, the central banks are privileged institutions in the sense that they can acquire assets by creating liabilities at their own discretion. No other organisation enjoys that kind of a discretionary power. But, central banks could acquire assets just by making book entries. They could issue currency and get others to part with their assets in exchange for that currency. All that happens in a central bank’s balance sheet is the creation of a liability item in the form of ‘currency liability’ and an asset item representing the asset the bank has acquired. This would make both assets and liabilities to rise simultaneously. This extraordinary power is being enjoyed by a central bank due its functioning as the monetary authority of a country. However, the community has given such a power to a central bank with a non-violable obligation attached to that power; the responsible use of the discretionary power vested with it (discussed in more detail in article here). There are two reasons why a central bank should use its discretionary power of issuing currency responsibly. First, the issue of currency over and above the needs of the society will expand the nominal aggregate demand creating an excess demand for goods and services. Since the aggregate supply is inflexible to meet this demand in the short run, the excess demand will put pressure for prices to rise. If this continues year after year, it generates inflation, reducing the wealth of people in real terms and creating a series of adverse consequences that hinder the long term growth. Second, in an open economy which most countries have today, the rise in the aggregate demand could partly be met out of imports. Unless the country makes a surplus in its current account, the payment for imports has to be made either through capital inflows (both borrowings and investments) or running down the existing foreign reserves. Both generate long term balance of payments problems and exert pressure on the exchange rate to depreciate. Thus, the irresponsible use of the discretionary power of a central bank to acquire assets by creating a currency liability will lead to a depreciation of both the domestic value of its currency (domestic inflation) and the external value of its currency (continuous depreciation of the exchange rate). However, the fall in the external value of the currency is linked to, and preceded by, a fall in the domestic value. In other words, depreciating exchange rates are an effect and not the cause of domestic inflation. Hence, the continuous domestic inflation is a sign of a central bank’s failing to fulfil its primary obligation to the community. A central bank may operate quite perfectly with regard to its internal procedures and systems. The accounts of a central bank may have been prepared having compliance to the best accounting standards. The external auditors may have given an unqualified certification to a central bank’s financial statements. In the eyes of the public, a central bank may have been projected as a model institution to be emulated by others. Yet, all these salutary features which pertain to a central bank’s past or current actions may hide the major risks it may be facing with regard to its future operations. It is the duty of the auditors to dig out these risk aspects and alert the management and, if necessary, the legislators, before it becomes too late to take any prescriptive measures. This poses a daunting challenge to the auditors of a central bank. A central bank, with its unrestrained resources, may have staffed itself with the best technical talents in the main field of its operations. Auditors are now required to assess their work and make judgments about the adequacy and the consequences of such work. In doing so, they should exert utmost care not to make wrong or spurious judgements and give false alarms about an impending catastrophe in a central bank. o do their job effectively, auditors should be more knowledgeable of the technical side of the operations of a central bank than its internal technical staff. Moreover, they should arm themselves with knowledge of how other central banks are operating, how some central banks had got into difficulties due to irresponsible behaviour and the emerging global best practices of central banking. Hence, it is a continuing learning and knowledge enhancement process for auditors of a central bank. By any measure, this is not an easy challenge. It is only with this superior knowledge base that auditors acquire the capability of making a proper risk assessment of a central bank and play their new role as a ‘risk-alerter’ to the management and legislators. This requirement equally applies to both internal and external auditors of a central bank. The policy failure risk involving instability in prices and failure of financial institutions and the associated reputation risk where the public no longer trusts a central bank and its actions are well known (Discussed in detail in article No. 1 of this series available here). But, a lesser known risk of a central bank is the ‘insolvency risk’ which could loom over a central bank with or without the presence of the policy failure risk. In other words, a central bank can run the risk of being insolvent, even when it has been successful in maintaining the stability in the value of its currency or the financial system. The insolvency risk of a central bank is less obvious, because of the very nature of a central bank. A central bank, even if its capital is negative and its currency liability is not matched by an equivalent value of foreign assets or valuable domestic assets, could still continue to be in business unlike a private organisation. In the case of a private organisation, if the net-worth is negative, it has to be recapitalised as an urgent need. If it does not happen, it cannot operate as a going concern and has to be liquidated on the ground of insolvency. However, a central bank can still operate with a negative net-worth, by continuing to issue currency as long as the public are willing to accept such currency in exchange for the assets held by them. It could, in these circumstances, defer and hide the need for recapitalising itself and continue to be in operation. The fact that the insolvency of a central bank is not known to the outside world does not mean that a central bank is without problems. A central bank’s operations are smooth and faultless, if its expenses are funded out of net interest income it earns on its foreign reserves or its domestic asset portfolio. But, if it has to meet its day to day expenses only by printing new money, its capital base gets further eroded reducing its ability to back the currency it has issued. Its continuous reliance on inflationary financing in this manner for running its affairs will ultimately render it a victim of its own irresponsible behaviour. When a central bank has to be recapitalised by the government by using taxpayers’ money, the bank would run a further risk. That risk is the loss of its independence. The legislators who now get an opportunity to scrutinise the bank’s affairs may be tempted to tighten their control over the bank, because, in their opinion, the bank has failed due to the laxity of controls. The corollary would be for the central bank to lose the budget independence and, as a consequence of that loss, the policy independence as well. One cannot blame legislators or taxpayers for demanding for greater control over the affairs of a central bank, because it is their scarce resources which are now used to recapitalise a central bank. Since such scarce resources have better alternative uses, the temptation on the part of legislators to punish an errant central bank by tightening controls is unavoidable. But, for a central bank to conduct its policy actions properly, budget independence is a must and if it does not have the budget independence, it cannot exercise the policy independence as well. The high inflation in the economy now exerts pressure on the exchange rate to depreciate. Both the central bank and the government may harbour a false view in them that allowing the exchange rate to depreciate is equivalent to publicly accepting the failure of their actions, it would further raise the cost of living and it would increase the cost of servicing the government’s external debt. This false view may force the government to defend the exchange rate at the expense of the loss of foreign reserves of the central bank. At this stage, the auditors should notice a change in the composition of the assets of a central bank; a decline in the foreign assets and an increase in the domestic assets mainly in the form of lending to the government. The change in the asset structure of a central bank leads to a series of unfavourable outcomes that increase the risk of insolvency of a central bank. First, there will be a change in the composition of the income of a central bank. The foreign income will fall and the domestic interest income will rise. Second, the decline in the foreign assets will force a central bank to borrow abroad on a short term basis, raising its foreign liabilities and interest out-payments. Third, if the government is still bent on keeping the fixed exchange rate, even the borrowed funds would be used to defend the exchange rate, converting the net foreign assets of a central bank to a net foreign liability position. Fourth, the defence of the exchange rate will create a liquidity shortage in the domestic money markets. The central bank may recoup the liquidity by expanding its domestic assets by lending to commercial banks and also to the government which is now unable to raise funds from the market due to the liquidity shortage. Fifth, to pay interest on foreign loans and repay the principal, a central bank may be forced to make further foreign borrowings. This will enlarge the net foreign liability position and cause the interest payments to surpass the interest earnings. The losses so made will continue to mount, gradually eroding a central bank’s capital base. The end result will be the conversion of a central bank’s net-worth from positive to negative. At that stage, a central bank will become technically insolvent. It actually becomes insolvent when it is unable to make further foreign borrowing and the domestic high inflation makes it impossible for it to fund itself by further printing money. It is the duty of the auditors to be vigilant on the emergence of these signs and alert the management and parliament in time. 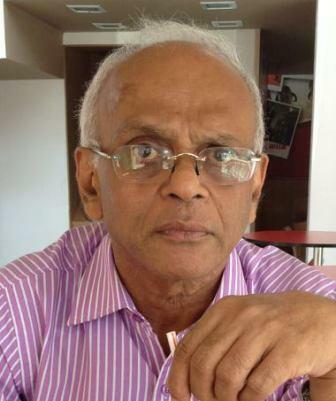 Lanka lacks sincere leaders to steer the economy in the right direction. Auditors can be and have been manipulated in the country and even in the regulated Western countries. Reader: I beg to differ. According to wiki, “”A financial audit, or more accurately, an audit of financial statements, is the verification of the financial statements of a legal entity, with a view to express an audit opinion. While it MAY be good for the Auditor to know some central banking, the role he plays is mainly VERIFICATION of the financial statements. He just checks if the stuff is entered and recorded properly and according to the rules. An auditor is not expected to supervise and/or review how CB policy and decisions impacted on the economy etc. If this was to be the case, an auditor would become an evaluator of the CB performance – which is exactly what we have tried to avoid by making CB a semi-autonomous entity outside of the public sector. Allowing the auditor to walk along the lines of policy and stability, considering they are only accountants and not Economists, may have dire issues and wider repercussions. Considering that we do change the auditor annually, drive-through policy and stability review of an outside Auditor will cause only confusion both to him and the CB stakeholders. Me: Thanks for presenting a dissenting view which will be appreciated by many readers. It has in fact opened up a debate which will help everyone to have clarified the issues that have bothered them. Keep up this habit of critically reading what others write or say. The point of departure here is what the Auditors of a central bank should do. Should they simply confine themselves to mere compliance audits of central banks as Wikipedia has recommended for ordinary business organisations or should that be beyond such compliance audit. If you read carefully this article and others written in this series, you will realise that a central bank is a totally different creature from all others with its discretionary money printing powers. That power has been given to them by the community to issue money and protect that money. Semi-autonomy or in some cases like the Bundes Bank the full autonomy has been vested with them in order to serve this purpose. However, some central banks, most notably those in Latin America and in this part, the liquidated Central Bank of the Philippines and the Bank of Thailand during 1997/8, functioned not to serve the community but those in power. The Filipino Central bank became bankrupt and was liquidated in 1993; the Bank of Thailand lost reserves to a value of $ 25 billion in an insane attempt at protecting the Baht to please the government in power and became nearly bankrupt; later in a law suit, its Governor was sent to jail for losing the country’s valuable foreign reserves but was acquitted on an appeal after, according to Governor himself, ‘dying many times mentally, physically and socially’. Central banks are famous for defending what they do to the teeth irrespective of the obvious risks which their actions would bring to the Bank itself, economy at large and the community which they are supposed to serve. If an economy becomes bankrupt due to their politicised actions like the recent episodes in Zimbabwe and Argentina today, what protection does the community have for itself? This is why key policy functions should be audited on a continuing basis as argued in the article. The best auditor should be the one who does its financial audit and as the article has highlighted, those auditors should be completely different species with a more advanced knowledge of those key functions. They are not mere accountants who you find in other business organisations. They should be better than the economists or bank supervisors in central banks. This also tallies with the modern audit principle of ‘value for money’ spent by an organisation. Why this is important today is that if a central bank becomes bankrupt and eventually liquidated, the first casualty would be those who are employed in the central bank. The new Banko Sentral Philipinas set up in the Philippines did not hire anyone of those in the previous central bank who had driven that bank to bankruptcy. After the financial crisis, all the top people in the Bank of Thailand were asked to leave their careers unceremoniously. Central Bank should be Audited by a team of experts including a economist familiar with Technical auditing. I am of the opinion our Auditors General Department should engaged in addition to their capable and qualified staff some external sources well qualified to understand the functions of the Central Bank, as it consist of qualified Economist and other staff, under the present Governer they may tend to hide true facts to save their jobs. My meeting with the present Governer of the CB in 2007 was a disastrous one as I tried to correct his opinion that in Sri Lanka we cannot construct 50,000 houses of medium quality of 850 sq.ft area houses in TWO YEARS is not possible in front of the Chairmans and other senior officers of 22 Banks and very senior construction managers from two Co-corporations. 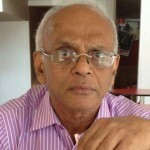 If the Sri Lankans allows the CBSL, to destroy the SriLankan economy allowing other Banks to borrow funds at exhobitant interest rates of 8.82 PC and then lending those funds to RDA and UDA without any way of recovering, is one very important condition to have experience and qualified auditors to audit the CBSL, as the IMF indications are not very favourable to have a Sustainable Economic Development the way, SL is undertaking development works. The Monetary Act only stipulates the need for a financial audit. Please see below. If a performance audit , as the writer seem to suggest, is needed, then it is up to the legislators (i.e the members of the Parliament), to bring forth necessary amendments to the Act. To use innuendos to suggest conducting Central Bank audit by the AG following International Accounting is irregular is , to me, is part of a dishonest smear campaign. Bank, and shall be certified by the Auditor-General. Auditor-General and the cost of audit shall be paid by the bank. Finance who shall lay such report before Parliament. Even the Bank of England is audited by a firm of accountants. To suggest that SL central bank must be audited by “Economists” is a laughable suggestion. If enacted this could be a world first. I wish to call Economists as “always 50% right profession”: Half of them predict the economy/ exchange rate/ interest rate/ unemployment/ share market / whatever will go UP during the next forecast period while the remaining half predict they go DOWN.